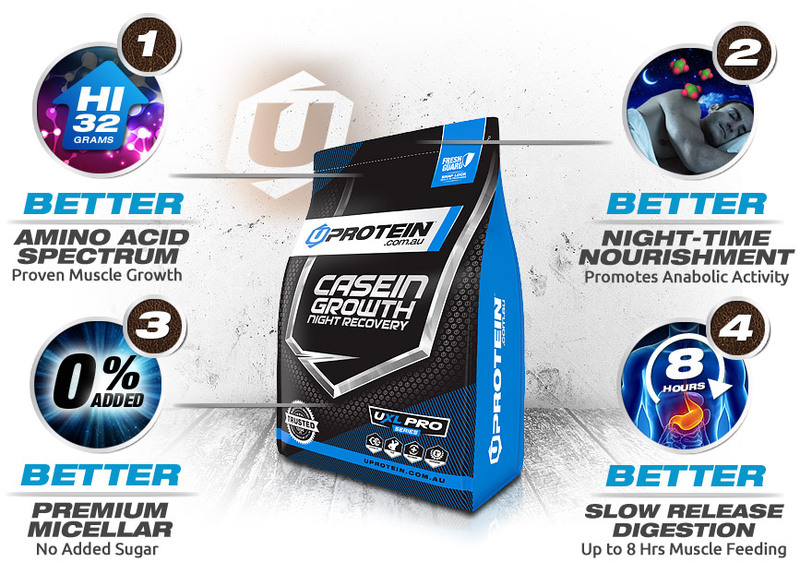 Lifters of all levels may benefit from using UPROTEIN™ Casein Growth Night Recovery. If you are thinking a Whey Protein before bed is holding you back, you might be right. Stop muscle tissue catabolism (muscle breakdown) while you sleep by nourishing your muscles with high quality slow digesting protein. BEFORE BED: Mix with yoghurt, or other beverages/desert and consume 30 minutes before bed. DAYTIME: Combine with UPROTEIN™ 100% Whey Hydro+ Enzymes in 50:50 ratio for the ultimate Slow vs Fast protein feed. FIRST TIME USERS: Please note, this is an unflavoured product and is NOT formulated to drink by itself. We recommend you start with a half serve to assess tolerance. INGREDIENTS: Micellar Casein Isolated Milk Protein (Slow Digesting). Contains milk. Made in Australia from local and imported ingredients. Arrived only a couple of days after order, mixes well and even though its not flaboured the taste is pretty darn good! I'm on a pretty tough training schedule at the moment, and I bought this to help with recovery and wake up ready to train. My muscle soreness has decreased dramatically, and I have been able to train at higher intensities after waking up. Can't recommend it enough. This product mixes well and has really lifted my game - noticing a difference is always great!! I use this every night and can feel confident that my protein needs are met. Been using casein for a while, but never found one as pure or good quality as this. Flavour is similar to milk powder and tastes great if you blend in a banana with it. Couldn't recommend more for bulking, maintaining, or cutting. I use casein after leg day. It reduces my recovery time to a day instead of 3. Being a natural flavour milk protien it doesnt taste amazing but blends well and tends to foam. Add milo or something and drink quickly 30-60 mins before bed. Gym beginner - noticing effects already! I'm a beginner in the gym, and was looking for advice on the best supplements to use. 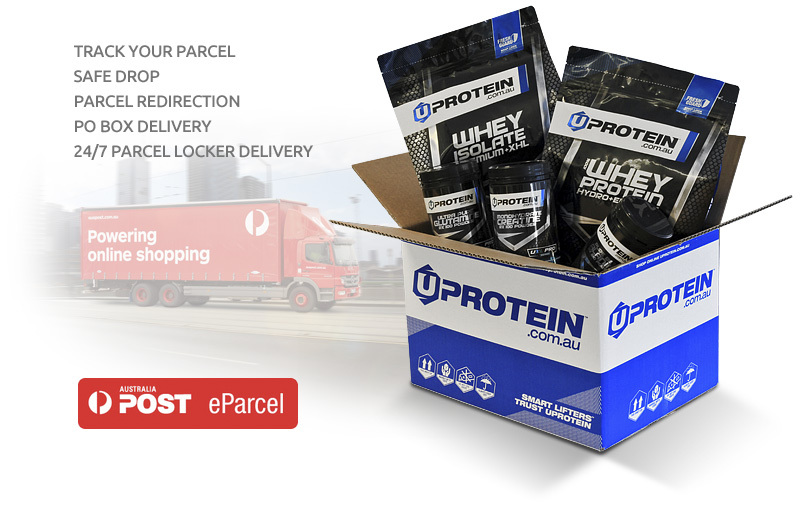 I came across UPROTEIN as the go-to website for quality products as well as great value for money. I have been taking the Casein Protein post-workout (with Whey) as well as before bedtime - and have DEFINITELY noticed a difference come morning - less soreness, less fatigue and increased energy. 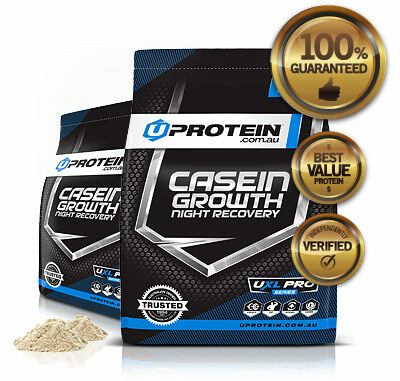 I was looking for an all-natural, effective Casein formulation without all the nasties. There aren't many brands that produce such a great product! It's natural flavour still tastes good and it's clean profile is a value buy. The powder is a bit too fine and I had trouble sealing the bag because of some powder getting in between the plastic seals but other than that, I was very happy to have purchased this product. I am a big advocate of casein protein, as it fuels your body with important muscle building nutrients during the most important recovery time, rest/sleep. Since switching to Uprotein, I have noticed a big difference. My body seems more replenished and I don't wake up feeling like I haven't eaten for days. This is definitely a quality muscle fuelling and stomach satisfying product that I would recommend to anyone. It is a high quality product without any nasty unnecessary additives. Taste fine also. A must for anyone to prepare their body for another intense workout the following day. Definitely happy with this product. Not starving when I wake up!! Recently purchased the natural casein after getting 6kg of hydro whey (which is great). There is no flavour to the casein which i expected but it mixes well with everything. I didn't wake up hungry and am extremely happy with this product. Time to get those sleep gains! Even though it's unflavoured, this stuff tastes pretty darn good in just water without mixing it with anything else. One of the few I can actually drink that way, though I usually mix with a flavoured isolate. Can't beat the price either. Taste good and fast delivery. Thanks Uprotein. Great Product - Just PLEASE be aware of what you're buying! This is definitely a fantastic product and full of great casein protein. I mix it with Whey Isolate + Enzymes before bed and it works well. It does have a grainy texture though, which is normal of casein proteins I've had before, so just be aware of that. It's a slow release protein so having before bed is ideal to give your body fuel throughout the night. Wouldn't recommend as a post-workout just due to texture and no-taste elements. In summary, it's a great product which is what it is and does what it does, very well. High quality low price, what else do you want?? First time buying Cassein protein, though I wish I bought some sooner! 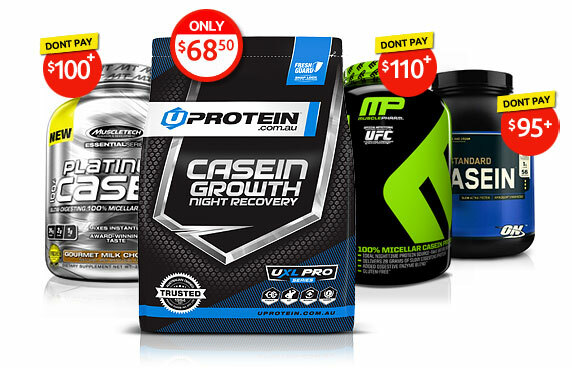 Rest assured with Uprotein you are getting 100 percent premium cassein, micellar, and I could not find anyone that does it cheaper either. Keeps you fuller for longer so its great as a morning supplement aswell for those who travel often. I take it at night before bed and feel that I recover better after training. Yeah protein immediately after training is important, but your body needs it when you sleep aswell, so its great for recovery. Given that its raw you can add and mix so you can try it with different flavors. Though for those who aren't super fussed with taste then it goes down just fine. Given its a slow digesting protein, with this you should check out there whey protein hydro for a great post training protein! Overall very happy customer and can't wait to purchase from here again. I was very surprised at how nice this unflavoured casein protein tastes with milk. It doesn't leave you feeling bloated, which is important before going to sleep. Just like the whey protein, this product mixes/blends really well, not leaving any powder stuck to the bottom of the shaker. Highly recommended before sleep. This is the night time protein you have been looking for. Easy mix formulation, definitely builds muscle during night after a big workout. I was starting to lose mass, the casein/protein has reversed this problem and keeps me anobolic. This is a must try product. I am really enjoying this micellar casein. I have it before an hour or so before bed (60 g) with 2 weetbix, unsweetened almond milk and my own stevia powder. Great way to end the day and it helps me sleep well. Got a fast metabolism so slow release is good for me. Usually have a protein shake but for something different mix it with greek yoghurt and peanut butter. Taste awesome and get double casein hit. Faster gains too. A fantastic product! mixes perfectly with milk to make a yummy thickshake that satisfies without being too heavy. love the 'natural' flavour. 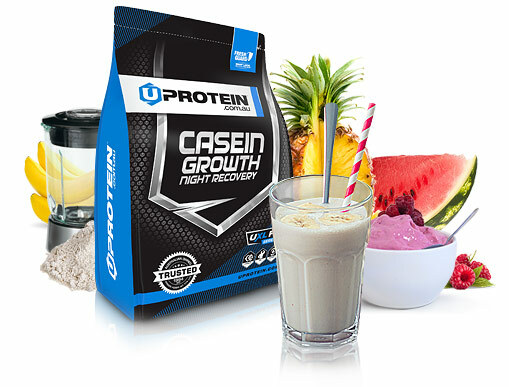 A great option for those who want a very high protein casein that doesn't taste like a mc'donalds milkshake. This help me gain muscle and strength . I love it! ✔ 8 Hour Slow Release Protein. Two is better than one! Start your multi-protein supplementation now. 32g (82%) Protein with high amino acid spectrums clinically proven to drive muscle growth. The unique super-think particulate properties delay absorption to provide steady state amino acid release. Nitrogen factors during critical recovery growth stage promotes natural anabolic activity. Preferred protein source of serious lifters wanting night-time nourishment naturally high in glutamine precursers boosting anabolic activity. Nothing but pure unadulterated premium Micellar Casein, perfect for mixing with no added sugar, fillers or flavours. Unique super-think particulate properties delay absorption to provide steady state amino acid release for up to 8 hour and protect against catabolism. If your muscles could talk, they'd say no to cheap Casein too. Feeding your muscles with slow release Essential and Branched Amino’s during sleep recovery stage ensures sustained nutrient uptake and true muscle results from ingredients proven to drive muscle growth. Each serve is 100% NATURAL and unflavoured, designed to mix with your favourite smoothies, shakes or desserts. 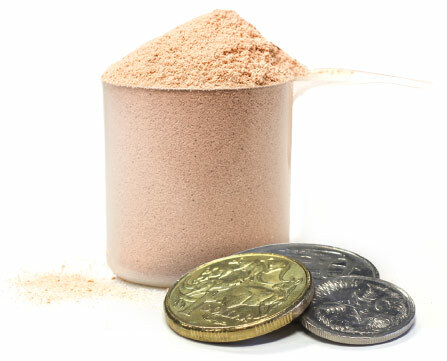 At around $1.25 per serve, this best-in-class casein formula is also Australia's best value. Now you can get premium 100% Micellar Casein Protein for significantly cheaper. Compared product prices have been converted to equivalant 2kg (4.4lb) and are typical prices sourced from Australian Online Discount Retailers as at October 2015. We want you to love this Micellar Casein. If for ANY reason you are not 100% satisfied, we will happily refund the purchase price.